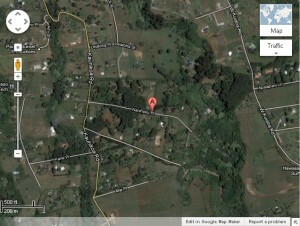 Maui Now : Ask the Mayor: Why are Baldwin Bikers Allowed to Endanger Us All? Ask the Mayor: Why are Baldwin Bikers Allowed to Endanger Us All? 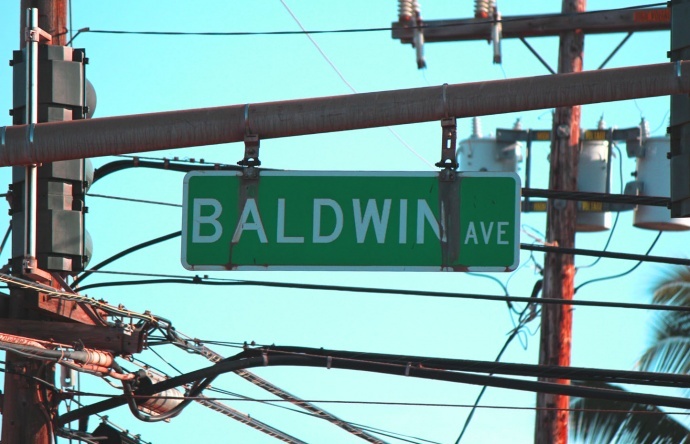 Baldwin Avenue. Photo by Wendy Osher. Q: I am one of the unfortunate local people who has to drive up and down Baldwin Avenue for work and to care for my mom every single day. I want to inform you that the situation with “biking down the volcano” is completely out of control! I honestly feel like I am risking my life every single day driving this road. I have almost been killed at least a dozen times due to a near-miss of a head-on collision because of frustrated locals trying to get around these people and there is no room to get around them. There is no safe place to pass on the entire road, which normally takes 15 minutes to drive down, but takes 45 minutes most of the time due to these biking groups. How is it that hundreds and hundreds of bikers, including children, elderly and untrained riders, can take over this road every single day, endangering us all? In the past two years, I have personally witnessed ambulances tending to accidents on the side of the road in this area at least seven or eight times. This is just what I have witnessed, so I can’t imagine what the numbers actually are. I would greatly appreciate it if somebody could look into the situation. Maybe there are some easier solutions, like limiting the amount of groups that can go down each day, or only allowing them to run on the weekends. Maybe somebody should check the statistics to see how many injuries are actually occurring as a result of the Maui downhill businesses and analyze the situation a little more closely! This is such an unfair situation! Why do all of us upcountry residents have to suffer every single day at the hands of a business that is hoarding massive profits and giving very little back to the local community? Thank you so much for your consideration into this matter. A: I don’t have information on whether these bicycle companies give back to the community, but I can tell you that our Public Works department contracted a consultant to study this important issue a number of years back. The study looked at many elements of this tour industry, including the tour operators, routes, traffic conditions and accident statistics. 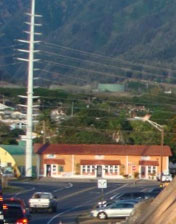 The results of the “Maui County Downhill Bicycle Tour Study” were released in June 2010 and submitted to the County Council with a draft bill designed to minimize the impacts. To view the study, go online. Email your comments to the County Council’s Infrastructure and Environmental Management Committee, which the bill was referred to. Ask the Mayor: Why Can Nail Salons Charge Extra for Using a Credit Card? Ask the Mayor: What's Your Dog's Name? 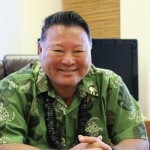 Ask the Mayor: Can Potholes on Kauhikoa Road Be Filled?